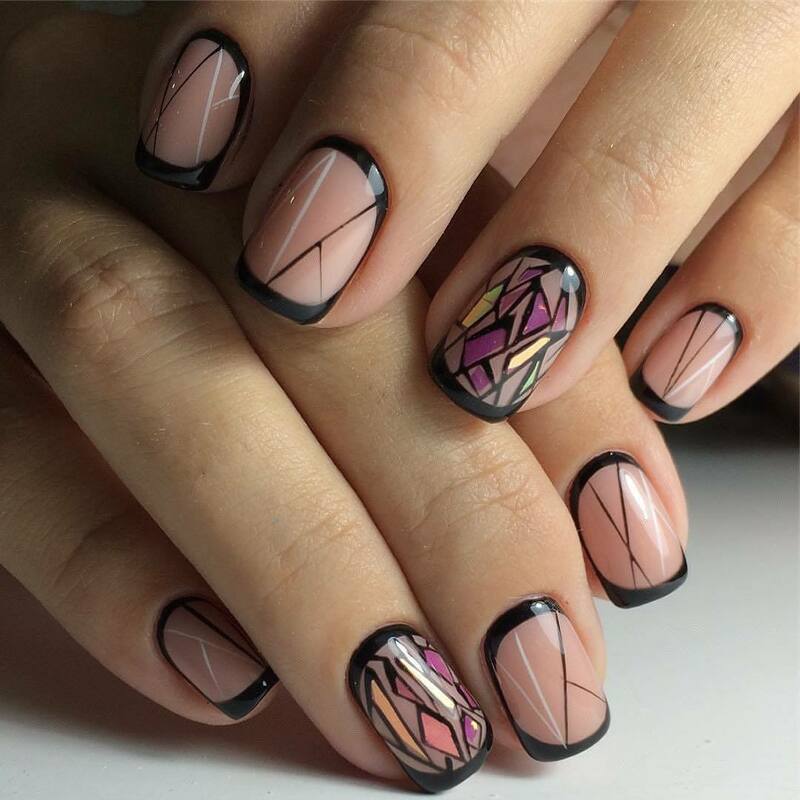 You can do such exquisite nails on your own if you have some skills in nail art and a French manicure. As you can see in this case we have double tips. The contour of the whole nail is painted in black. The base is pale pink. Black and white tiny stripes look effective in this design. And on ring fingers a broken glass technique is used.